Engineering graduates who wish to make a career in the field of engineering design can opt for the UG NX (CAD & CAM) course. This course revolves around creating graphical designs in the field of Mechanical, Production, and Automobile. The UG NX (CAD & CAM) certification course is a hands – on and knowledge-based evaluation and development program of an individual’s understanding and application in NX design. This certification will surely add a significant achievement to your career life. Engineering students can boost up their career by being accredited under one of the industry leaders on the globe. Not only students but also working professionals can also increase their credibility by certifying their skills in the field of mechanical, electromechanical, Mechatronics, Automobile, Production design, etc. The UG NX (CAD & CAM) certification proves a candidate’s competency in areas such as Solid Modeling, Assembly Design, Generative Drafting, Advance Surfacing, Machining, Sheet Metal, Photo rendering, and much more. The CCUBE Competency Certification Centre offers in-depth and powerful knowledge to its candidates converting them into expert professionals. Being one of the pioneer arms of the CADD Centre- the Asia’s Largest CAD Training Company, CCUBE delivers unmatched coursewares to help individuals develop a career in UG NX (CAD & CAM). This certification formally documents an individual’s NX qualifications increasing their worth to the company making them immediately employable. The UG NX (CAD & CAM) course adds great value to a candidate’s academic profile facilitating career development matching their skills to the job responsibilities. 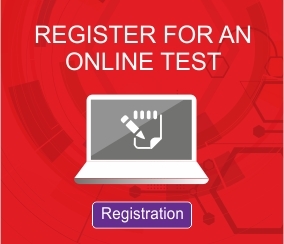 There will be 60 multiple choice questions for UG NX (CAD and CAM) certification.